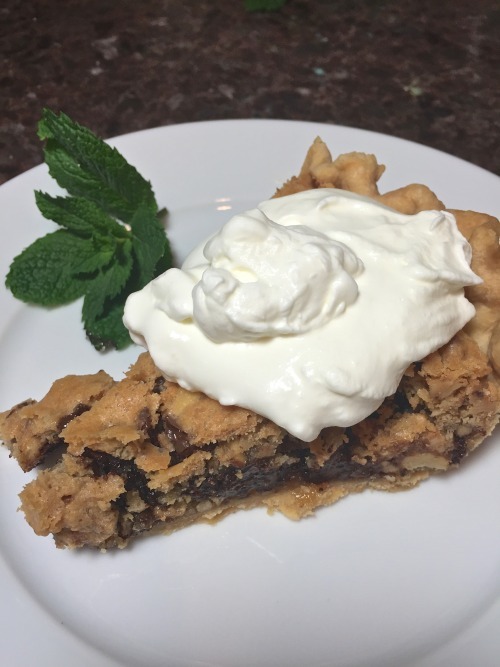 There is no mint in this pie, only for garnish, but if you are at a Kentucky Derby Party this weekend you will probably be drinking mint juleps. And……they are off and running! 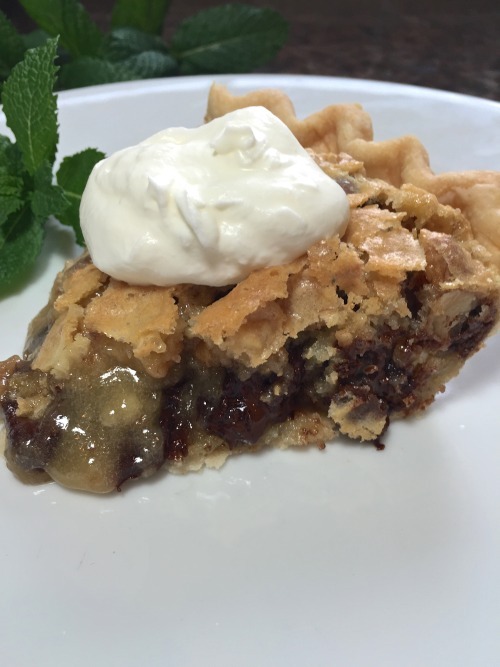 I’m sure almost everyone makes Derby Pie or at least has tasted it, but I have never shared my recipe. The name Derby Pie is trademarked by Kern’s Kitchen in Louisville and they invented it or came up with the recipe back in 1950 at the Melrose Inn in Prospect, Kentucky. 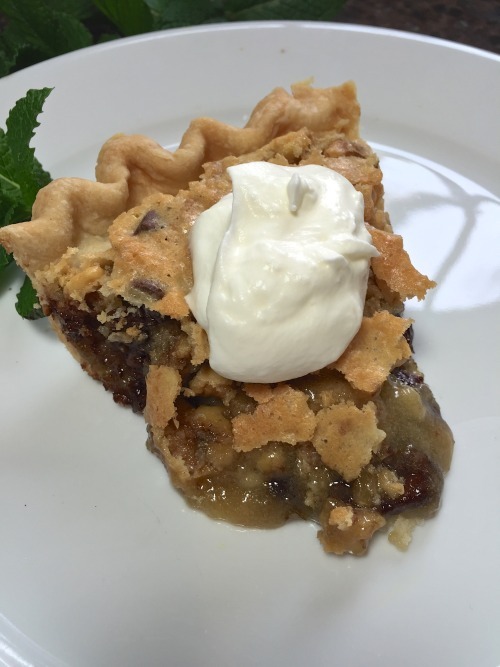 I have been making Derby Pie which I have called Kentucky Derby Pie since we lived in Louisville back in the 70’s. If you look at the picture of their pie in the above link, mine looks nothing like their’s. Also, a lot of recipe call for pecans and bourbon. I don’t remember who gave me this recipe back in the 70’s but it had walnuts, no bourbon and definitely a homemade pie crust not a store bought one. 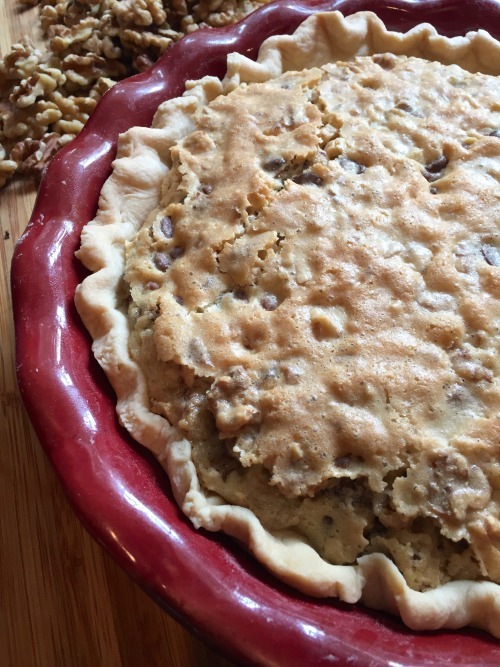 According to what I have read on the web the family of Kern’s Kitchen is going after anyone I guess that calls their pie “Derby Pie” so, after years of calling mine Derby Pie, I’m calling it Kentucky Walnut Pie just so I don’t get sued. That seems kind of nasty if you ask me, to sue someone even if they change the ingredients. And, I have to say mine looks way more appetizing. 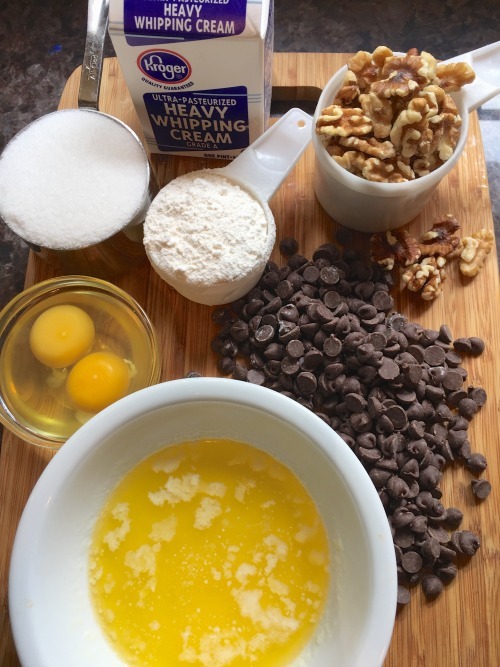 Both our sons were born in Louisville in the same hospital with the same doctor and I feel like if I ever want to talk about our years living in Louisville and going to the Kentucky Derby then I had to make a Kentucky Derby Pie. Each year, I could not wait to go to the Kentucky Derby. No, we were not one of the beautiful people with gorgeously outrageous hats sitting up in the box seats or even the bleachers. We were one of the “infield crowd”; the ones that would carry coolers of booze and try to get in with it or make something called spoliolies that taste like lemonade but was full of vodka and lemon juice. We always did manage to sneek some concoction into the races. Below are a couple of pictures of our Derby Days. 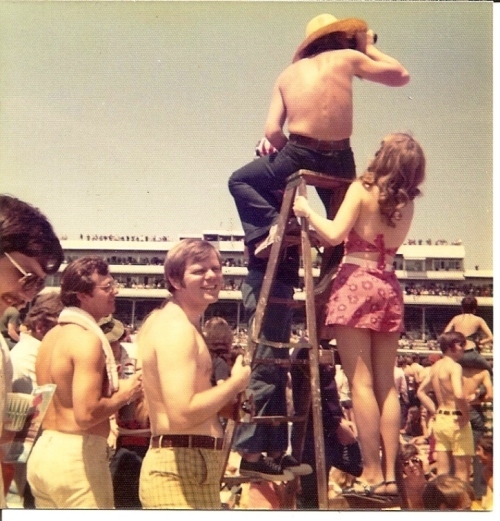 That’s me on the ladder, with a backless halter top (I actually made that outfit), since that was the only way I was going to ever see a horse for the most famous race in the world. If I wasn’t on a ladder I would be on my husband’s shoulders. He’s always been strong, but there is no way I could get on his shoulders now nor could he hold me over his head. That would really be a crazy site. 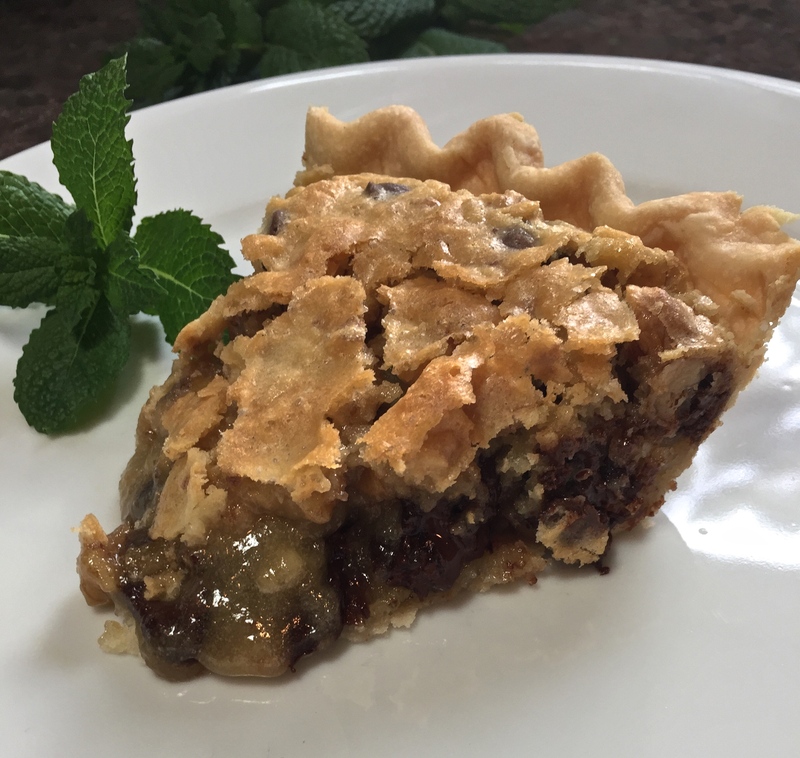 So, if you plan on making something special to eat during the running of the Kentucky Derby, give my pie a try and if you like it or have your own memories of going to the Kentucky Derby, please leave a comment below in the “comment” section. I would not substitute the walnuts for any other nut. Beat the flour, sugar, eggs together and then stir in the cooled melted butter. 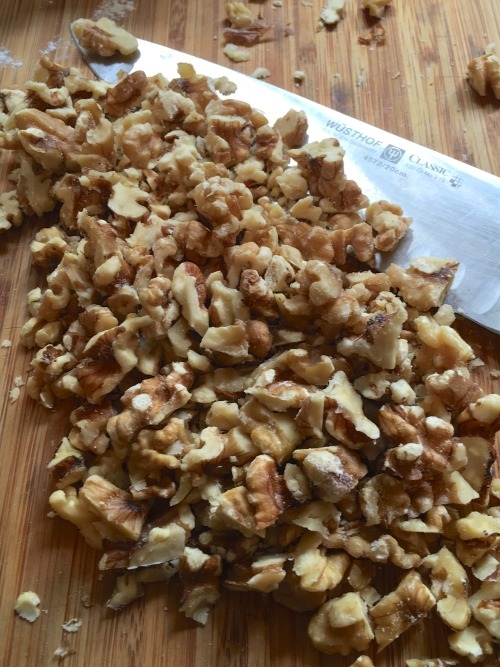 Chop the walnuts into large pieces and add to the pie mixture. 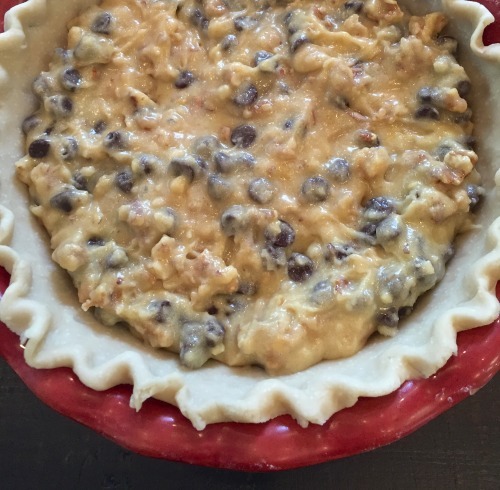 Pour the filling into a prepared pie crust. Mine is homemade and I will give you the recipe at the end of the post. Bake an hour (or more) at 325° until nice and brown and puffed. 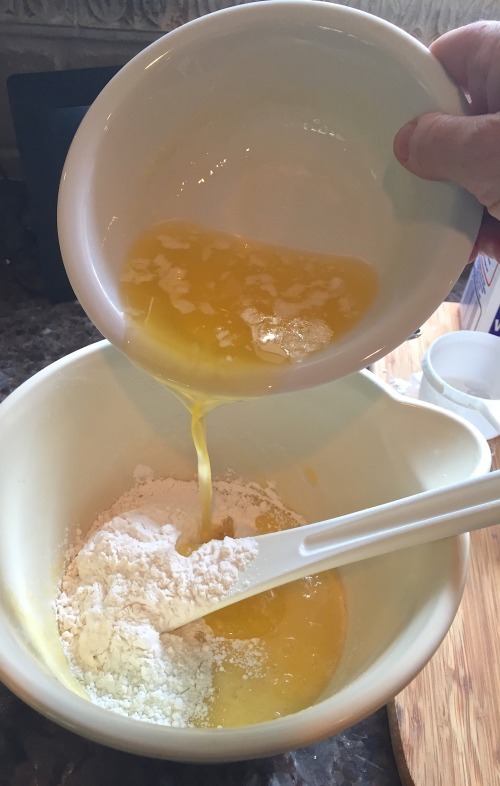 Put your cooled butter in a bowl and add in the sugar and flour and beaten eggs. Stir until mixed thoroughly. 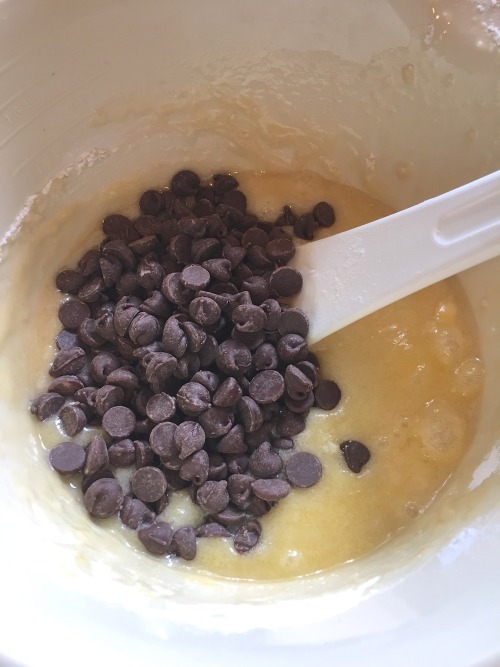 Add the chocolate chips, walnuts and vanilla extract to the mixture. Pour into prepared pie crust and bake in 325° oven for 1 hour. Serve with whipped cream (my favorite) or a scoop of vanilla ice cream. Look at that cute little wooden purse I made and there’s that cooler of “spiked” lemonade. And that’s Boots and his ladder. Don’t know whose on top. Looks Yummy. However, what kind of beans?